Here is a picture of your AmeriGuard team members having a meeting in order to discuss how we can better serve you as our customer and your homes. 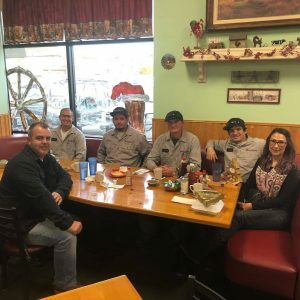 We meet on a regular basis in order to train on chemicals, customer service, set goals, reflect on prior months, and have open team discussions. Employee moral also leads to better service, dedication, loyalty, and results. Please make sure to call us today at 951-652-0505 if you need to schedule any services or have any questions. Thank you very much, your friends at AmeriGuard Pest Defense. (back row from left is Michael, Carlos, Jordon, Joseph, Rosemary and Richard in front left?